Workforce Development is not served by short-term leadership strategies. Neither is talent retention, breaking down silos and employee engagement. Consider employee engagement, for example. Organizational change that demonstrates a solid return on investment because employees are more caring and engaged takes on average three-to-five years to successfully implement. The bottom line is that growth and development are not successful with leadership strategies based on annual short-term planning. Now we have additional proof behind these claims. Perhaps this is why so many organizations fail to change. Recently more than 150 senior business leaders gathered to discuss practical solutions for combating financial short-term leadership strategies and focus. Representatives of FCLTGlobal’s 42-member organizations joined leaders from global corporations, asset managers and institutional investors to participate in work sessions aimed at tackling major risks to long-term growth. Panelists agreed that leadership strategies with short-term annual planning outcomes do not allow companies to grow. They also concluded that workforce development initiatives must be included in their planning processes. Other key takeaways included focusing more on long-term oriented metrics, increasing greater transparency in regards to capital allocation decisions and weighing the long-term risks against clients’ and companies’ objectives. For example, executing successful change initiatives can take three years to accomplish. Short-term planning results in just six to twelve months of planning. This leaves leaders ill-prepared for long-term success. Likewise, many organizations lack leadership strategies to track change and workforce development that ties training to income and expense savings. 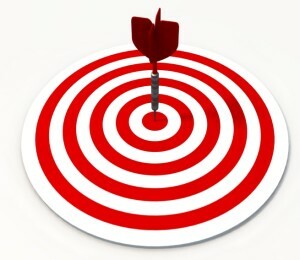 A focus in these areas ensures that companies can track the ROI on their initiatives. This is important because when planning and change (employee training and development) result in cost savings or productivity improvements, there is less risk in throwing training at employees like mud on a wall to see what sticks. When training retention results in executing action planning execution with cost savings or productivity improvement benefits, great strides can be made both in employee retention and an improved work culture. An entire generation of middle managers and executive leaders has grown up without knowing how to facilitate long term planning with short term action planning initiatives. Perhaps this is why so many plans fail. Perhaps this is why so many projects fail, too. Successful planning facilitation with successful execution is step one in transforming short term planning into long term growth and workforce development initiatives. Unless leadership strategies include training managers correctly for planning and execution that results in long term growth with measurable impact, the situation will not change. 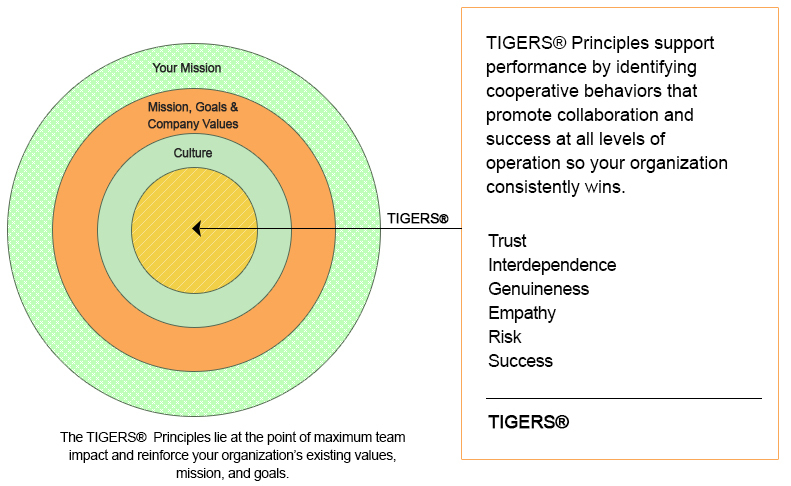 That said, the TIGERS Success Series Manager as Facilitator™ training program teaches managers to facilitate consensus and action planning for optimum and measurable department commitment and accountability for planning execution. This is the key to combating short-term patterns in business. Managers who are good facilitators are able to bring people together to work toward solutions. As a result, groups accomplish more with high levels of commitment and accountability. Facilitating group dynamics the right way creates buy-in and makes group process bearable by everyone. A system that provides a foundation learning structure for other work group and team development efforts. Training out comes that keep work groups engaged in goal achievement while developing leaders who effectively facilitate high commitment team decision-making and problem-solving. An effective way to measure the return on investment for training and development outcomes. Validated and reliable diagnostics that get to the core issues facing teams and work culture so you know exactly where to focus team development and transformation efforts. This type of system-directed training is also beneficial in other areas besides change initiatives. Rather than providing one-off training solutions, this training impacts all levels of operation. For example, it gives leaders a strong foundation for building successful teams. It also improves workforce behavior improvement so managers can concentrate on growth rather than employee drama. When we teach corporate trainers to facilitate department behavior improvement, employees learn the behaviors that build strong teams and behaviors that result in problems. This enables trainers to help department leaders form positive group norms of behavior that enables the breakdown of silos, department drama and conflict and streamlines department operations. This tool, which can be used repeatedly with no license fee and also be used for onboarding new employees onto existing teams. The rule of thumb is, when leaders focus on making sustainable changes in their own spheres of influence, others are better equipped to follow suit. This results in implementing change in other areas of operation, too. According the Mark Wiseman, FCLTGlobal Board Chair and Global Head of Active Equities & Chairman of Alternative Investors at BlackRock, recognizes the importance of system-wide planning rather than one-off, short-term solutions. He says, “By supporting initiatives with longer horizons, we will do the most to move the needle with all the major players across the value chain – asset managers, asset owners, corporations – as well as for their stake-holders.” Clearly good workforce development planning serves stockholders, stake-holders and all the major players in the corporate value chain. With effective training with transference that promotes measurable, positive change execution, leaders can combat short-term patterns in business. This transformation achieves long-term change that results in cost savings and productivity improvement within their organizations. Care to dig deeper into this leadership strategies conversation? TIGERS® Success Series provides a comprehensive, multi-pronged and robust system for improving both your work environment and profitability. We specialize in training your managers in group facilitation methods that build workforce cooperation and high performance team dynamics. Scaled to grow as your organization and leadership performance grows, our proprietary Team Behavior Profile and Management training workshops are based on the six principles we have found to be the right mix to make this happen. TIGERS serves committed leaders who desire enhanced cooperation among departments, teams, managers and individual employees. This heightened level of cooperation leads to improved revenue, purpose, commitment and impact. Employees quit companies because they don’t get along with leaders and co-workers. Work culture refinement and behaviors that build strong relationships erase this trend in fully measurable ways.